Welcome to Home of the Perfect Smile in Cleveland, Ohio. 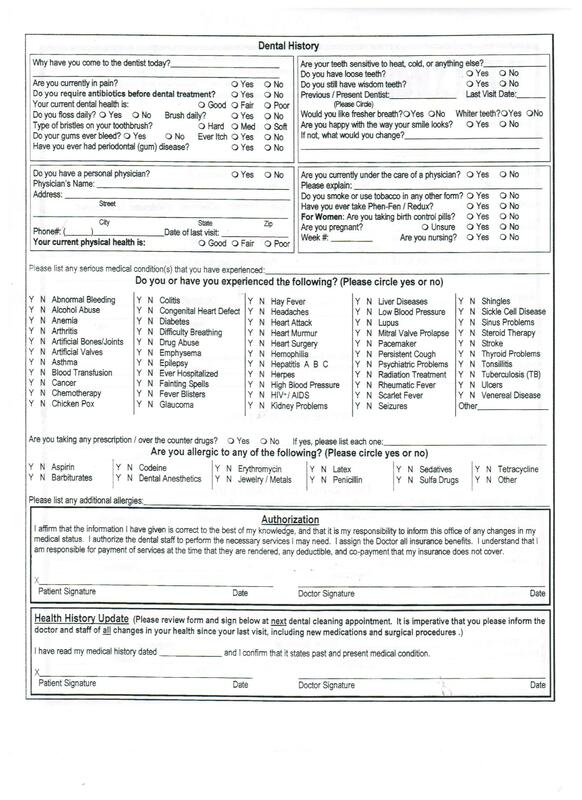 To expedite the new patient registration process, download and complete the following forms and bring with you to your first appointment. This will ensure you're able to be seen in a timely manner. To better serve you, tell us about your dental history. 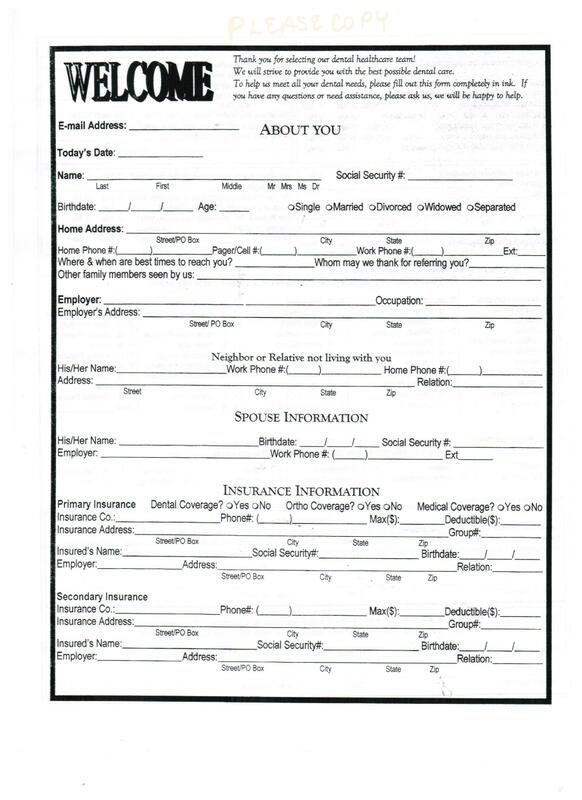 Download, print and complete this form, then bring with you to your first appointment. 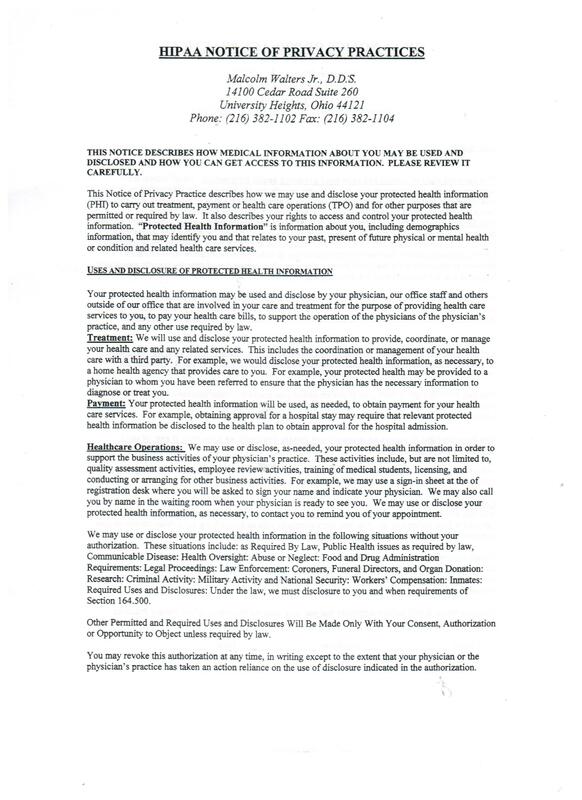 HIPAA Notice of Privacy Practices, Pg 1. 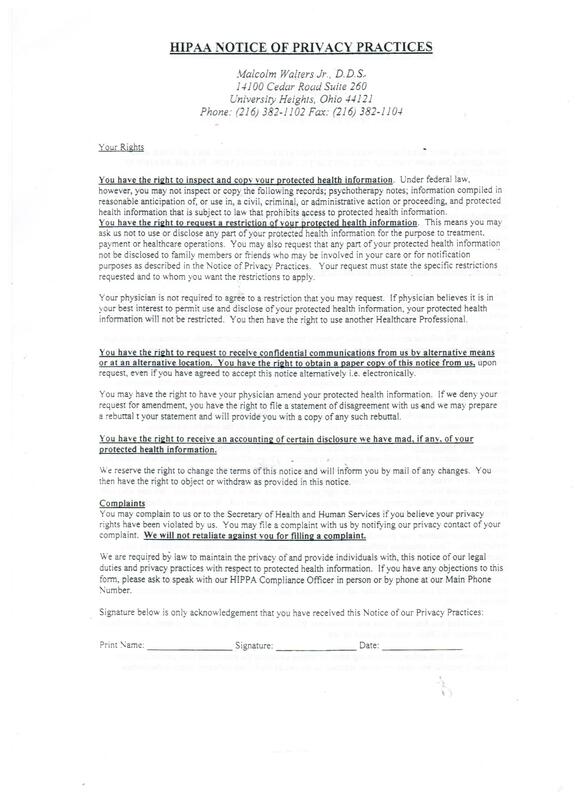 Please download, read and sign this privacy notice, then bring with you to your first appointment. HIPAA Notice of Privacy Practices, Pg 2.